As furniture manufacturers, we play a big role in that equation, and we try to remain cognizant of it. Our products aren’t just jewelry for your interiors – they’re more like tools than decorations. They serve a purpose, and as manufacturers and designers, it’s our duty to make sure that they serve their purpose well. There is no such thing as design without a purpose, because anything that is well-designed will make some aspect of your life better, no matter how small. Whether that purpose is to enhance efficiency or simply to create beauty in a place where there once was none, all design has a function. We know our purpose. 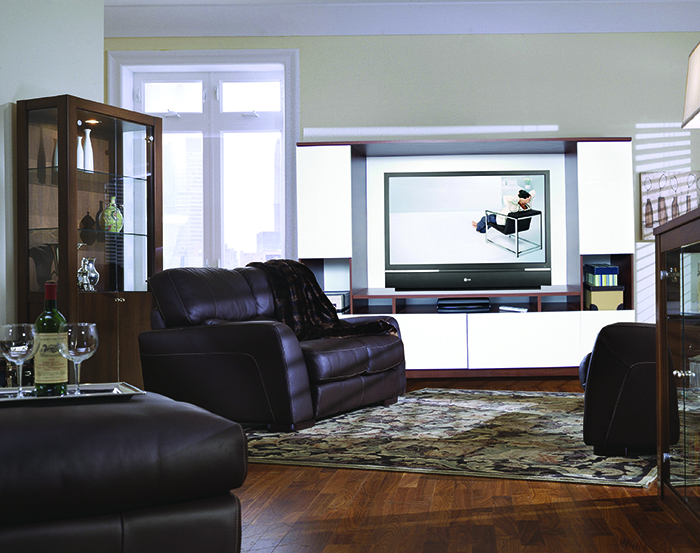 We’re here to solve storage problems and create beautiful spaces for your home entertainment system. This entry was posted in entertainment, entertainment centers, furniture and tagged design, Entertainment Center, home, modern, problem solving. Bookmark the permalink.